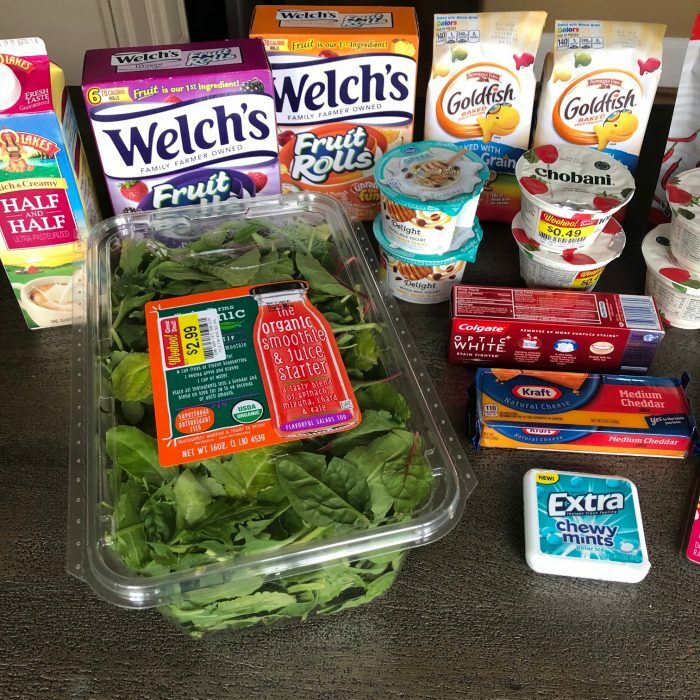 This Week’s Menu Plan + Look What I Found at Kroger! I ran into Kroger this morning with Kathrynne in between dropping Silas and Kaitlynn off at school and needing to drop her off at school. This is becoming part of our morning routine and we’ve been loving it! We set the timer and then go on a sort of “treasure hunt” to see what markdowns we can find in less than 10 minutes! We’re headed to Breckenridge, CO with all of my extended family (my dad’s Christmas present to all of us this year was paying for our trip there) to spend Saturday, Sunday, and Monday staying together at this huge and beautiful house there (follow me on Instagram Stories if you’d like to see some videos/photos of our trip! ), so I’m only planning meals for Monday through Friday of this week. Kaitlynn and I went shopping today since we had $53 left to spend on groceries this week. 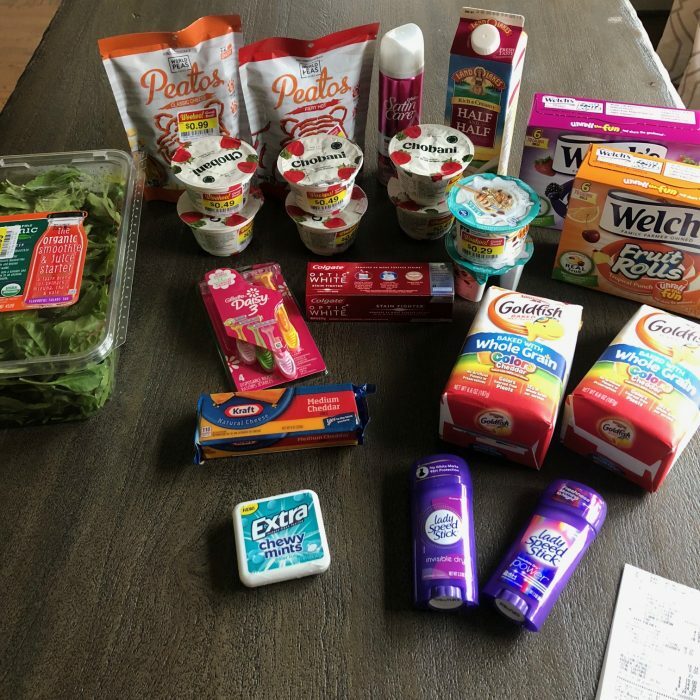 We went to a Kroger that we usually don’t go to — and this Kroger has this section that is all markdowns of scratch and dent items. 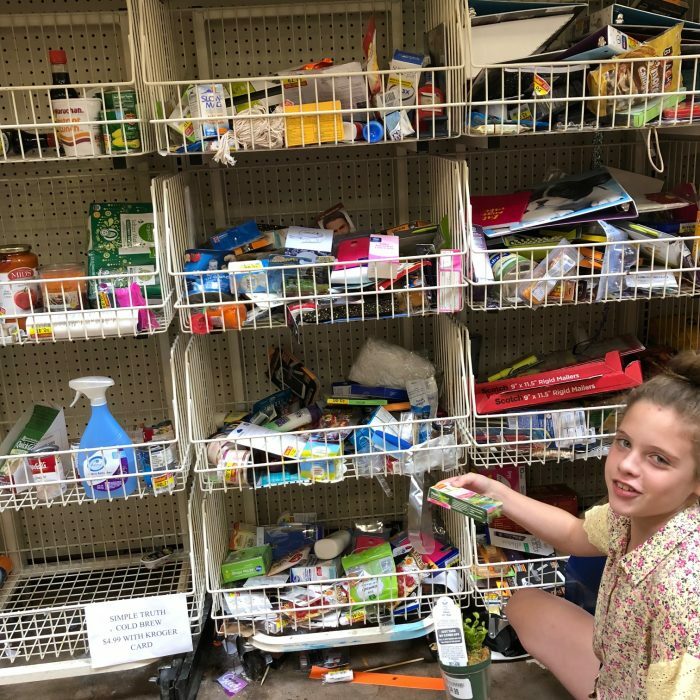 It looks completely disorganized, but we found some “treasures” in the mess! 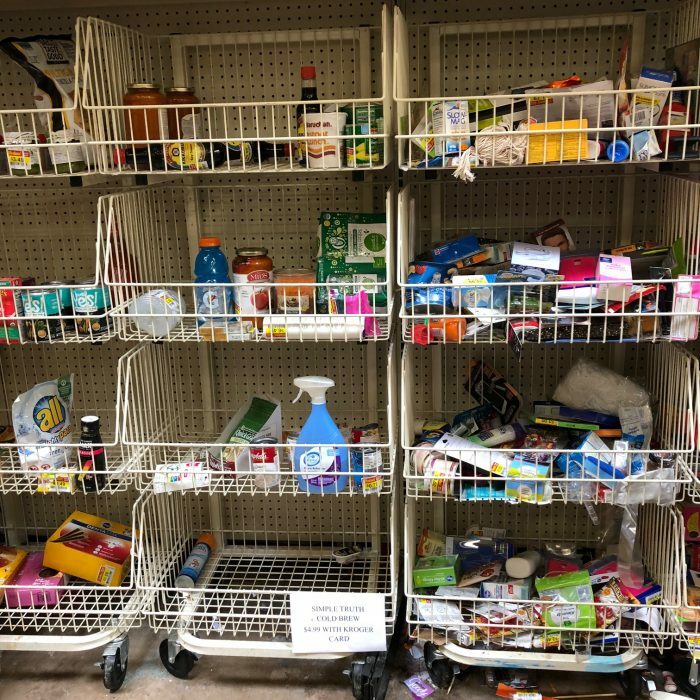 Not all Kroger stores have these markdowns sections, but definitely check to see if your store does, if you haven’t already! You never know what you might find! 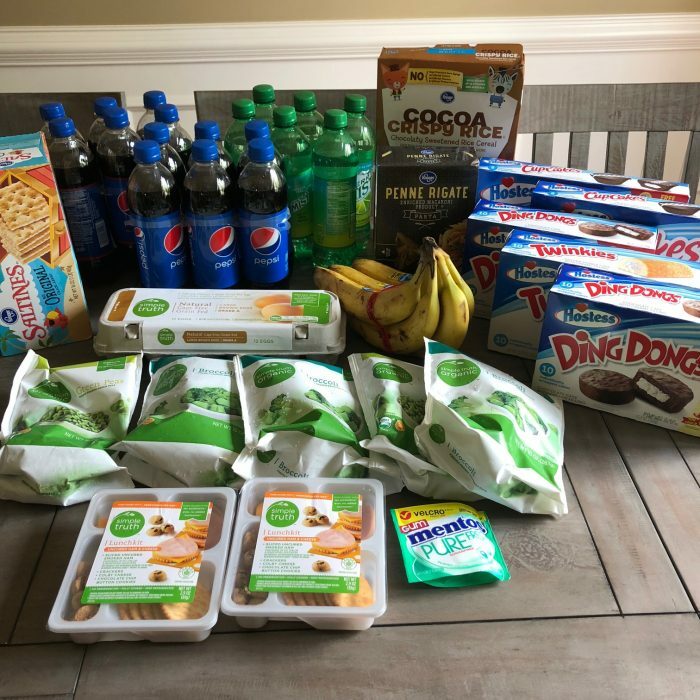 Cashback Earned: 277 points earned from Fetch for buying Capri Sun & Pepsi & Talenti + $0.50 from iBotta for scanning 2 receipts. 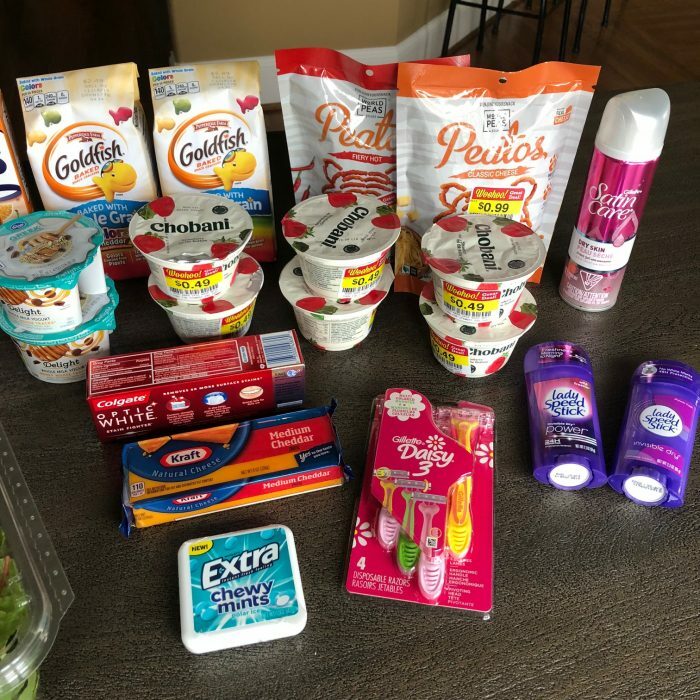 Some GREAT Freebies & Deals I Got at Kroger Today! Kroger! I’ve missed you! And of course, when I was gone to India, you had to have some fantastic deals that I missed. I saw them online and wished I could fly back just to get them… but alas, that wasn’t really feasible. The kids are back in school and that means that I can swing by Kroger on the way home from school drop offs. I actually drive right by two different Kroger stores on the way home, believe it or not! Best of all, I can run into Kroger at the perfect time of day to shop: before 8 a.m.! Not only are there usually some good markdowns, but there also is usually almost no one at the store! 2 boxes Welch’s Fruit Rolls (these particular ones didn’t have any food coloring or artificial flavoring!) 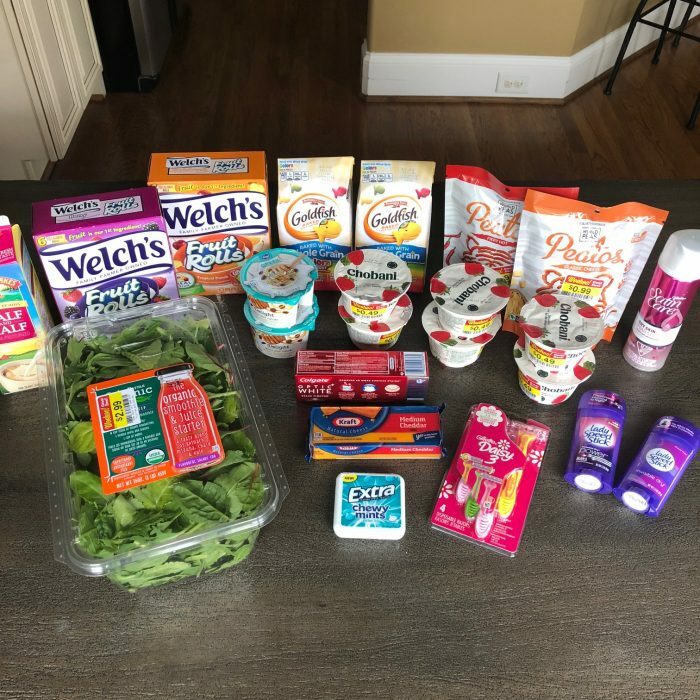 — $0.99 each when you buy 5 participating items in the current Kroger Mega Event (buy $5, get $5 off), used $1/2 Kroger digital coupon = $0.49 per box after coupon + submitted for $1/2 Checkout 51 rebate = FREE after coupon and rebate! 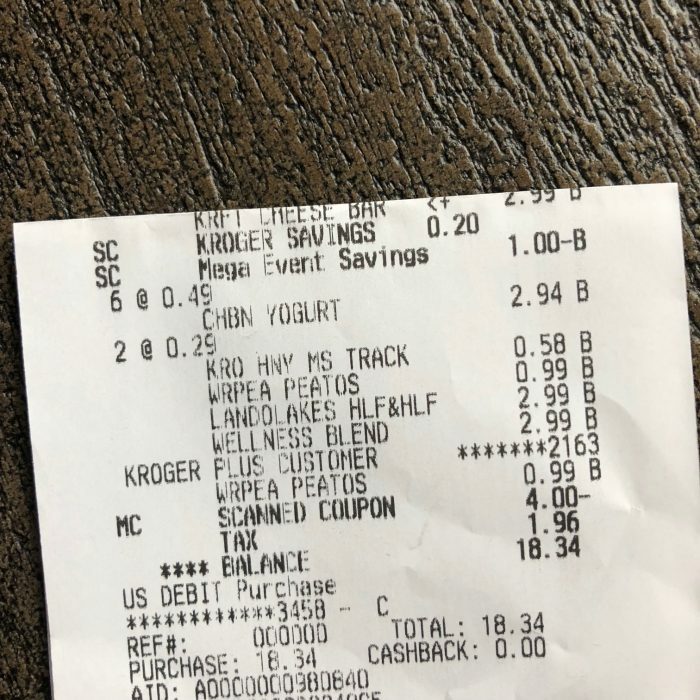 1 bar of Kraft cheese — $1.99 when you buy 5 participating items in the current Kroger Mega Event (buy $5, get $5 off) — I thought that my $1/1 Kroger digital coupon was going to come off for this, making it just $0.99. I discovered when I got home that the coupon was only good on shredded cheese, not bar cheese. Oh well! 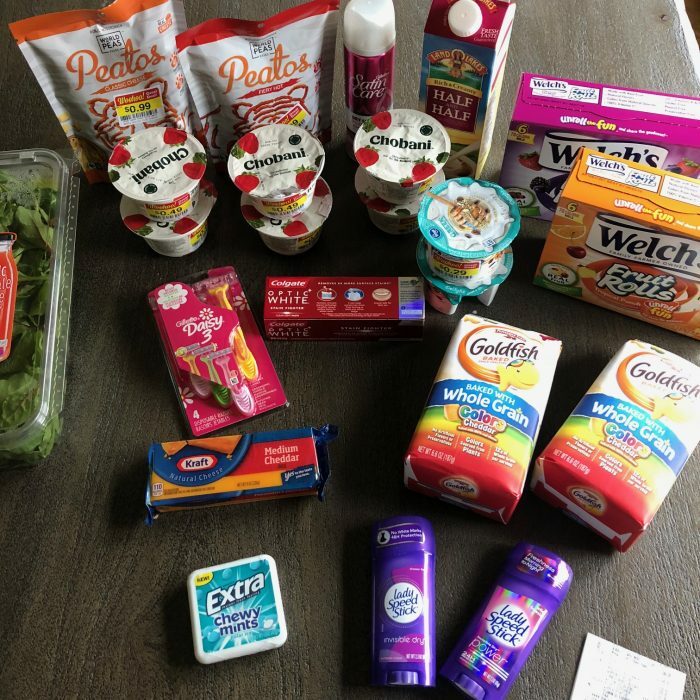 $0.25 from iBotta for submitting my receipt, 69 points from Fetch Rewards for submitting my receipt, and $1 back from Checkout 51 for buying Welch’s Fruit Rolls. 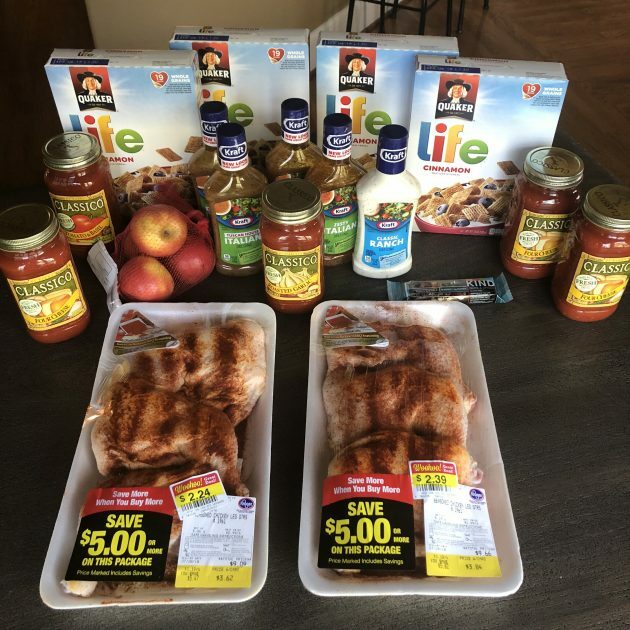 GREAT deals at Kroger on chicken, salad dressing, cereal + have you gotten these coupons before? 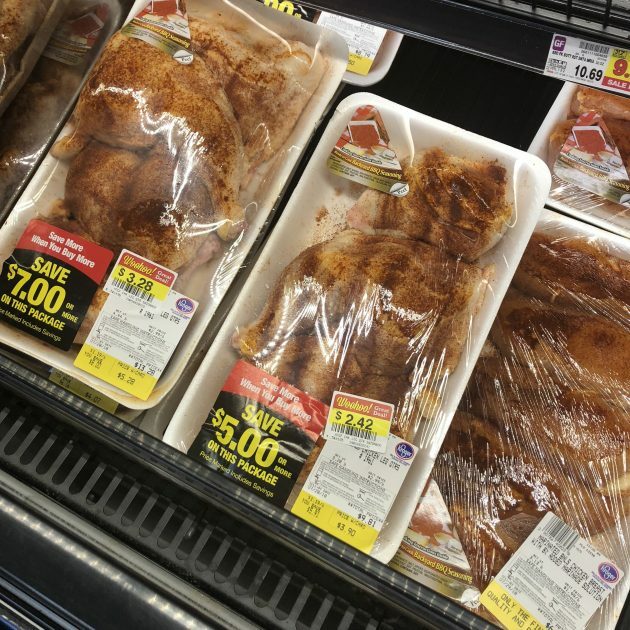 I was so excited when I went to Kroger and saw these packages of seasoned chicken marked down twice — not only did they have the $5 and $7 off coupons on them, but then they were marked down even more with woohoo stickers! So I bought two packages and stuck them in the freezer. We’ll either bake or grill these for quick dinners when we get back home from Arkansas! I also got these two coupons at checkout. I don’t recall ever getting Best Customer Coupons printed at checkout. 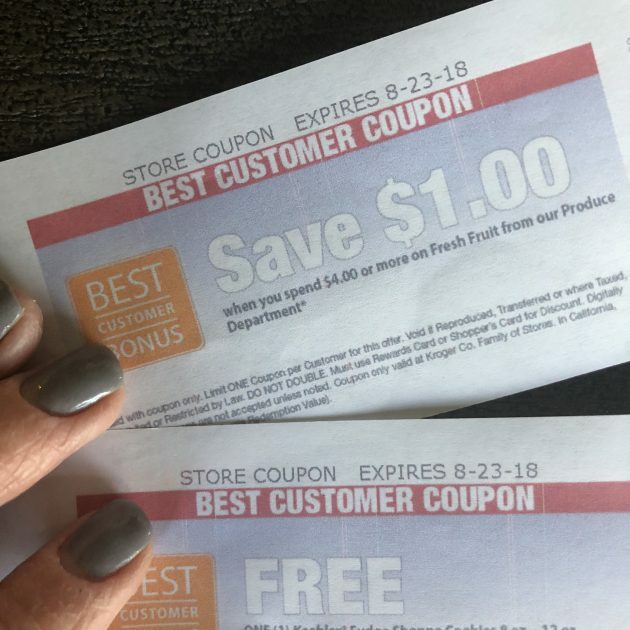 I often get random coupons, but never ones for FREE items (the bottom coupon was for a free package of fudge cookies) and the first coupon was for $1 off any $4 purchase of fresh fruit. Have you gotten these types of Best Customer Bonus coupons before? Anyone know why you would get them or what would trigger them?? 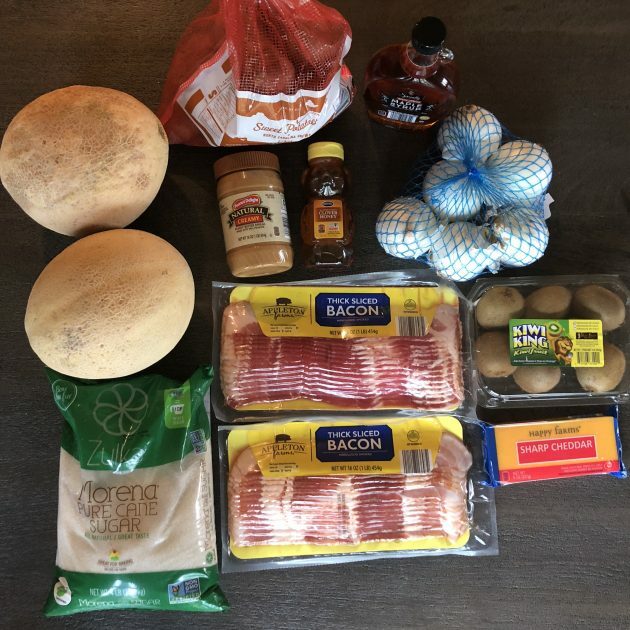 CHEAP cereal & cheese, two bags of groceries for $3.80 at Sprouts, and this week’s menu plan! 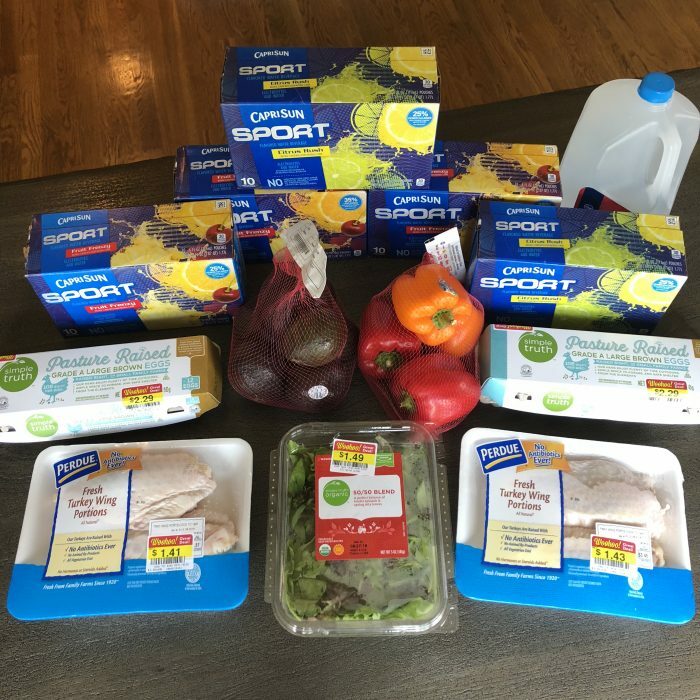 The Friday-Saturday deals at Kroger were super exciting to us this past weekend! 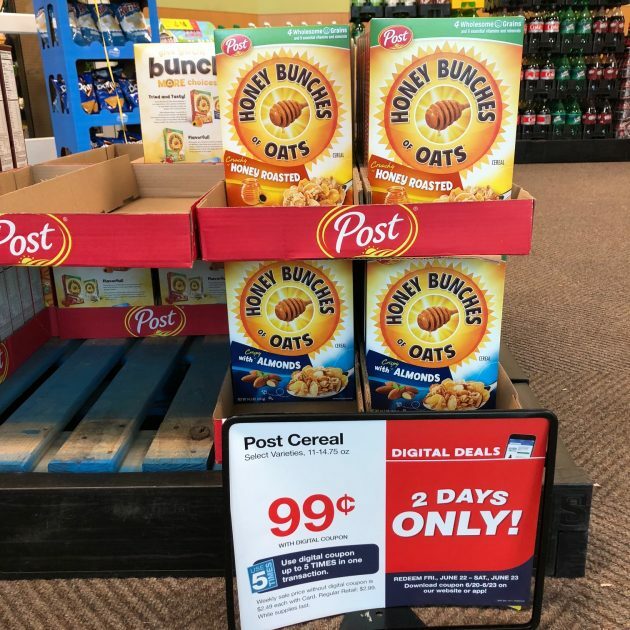 I was thrilled to get cheese for $0.99 per block/bag and the kids were thrilled to get one of their favorite cereals (Honey Bunches of Oats) for just $0.99 per box! I bought two bags of cheese to stick in the freezer for later and three blocks to use over the next few weeks. I also found organic cage-free eggs marked down to $1.99 per dozen, so you better believe I scooped those up! In fact, I ended up getting 6 dozen!! 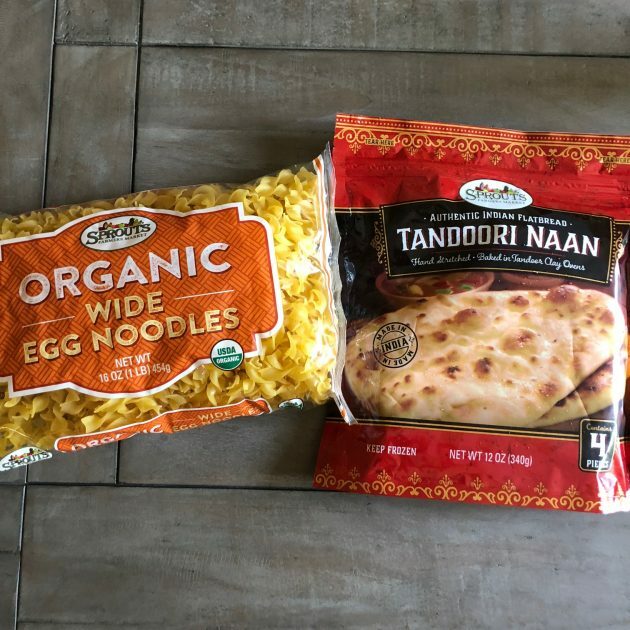 We love eggs — scrambled, fried, hard-boiled, you name it — so I’m always thrilled when I find a great deal on eggs! 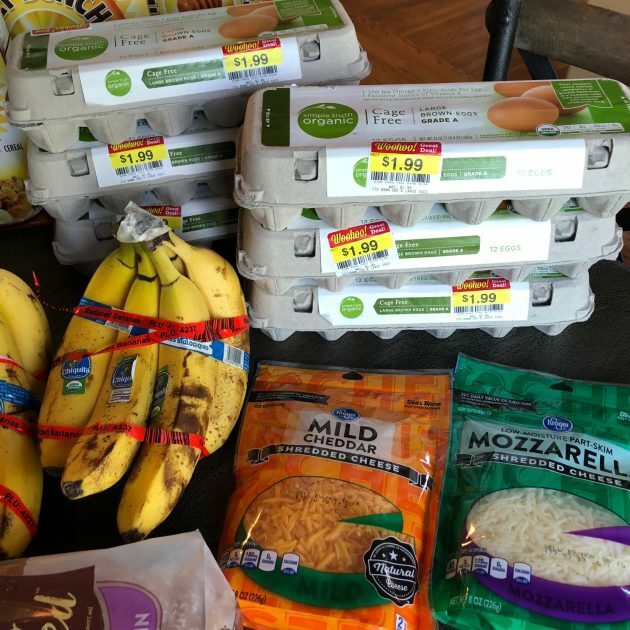 In addition, they had a bunch of organic bananas marked down to $0.39 per pound! 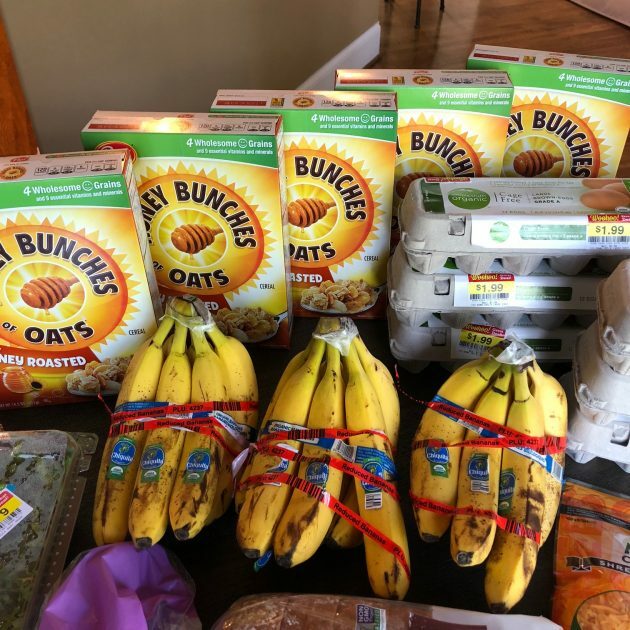 Actually, they had a cart FULL of bananas marked down, but I just picked up three big bunches to stick in the freezer for smoothies and banana bread and banana muffins! Of course, I also picked up the free loaf of Nature’s Own bread that was the Free Friday download this past week. I think it’s probably one of the best Free Friday downloads there has been in a long time. 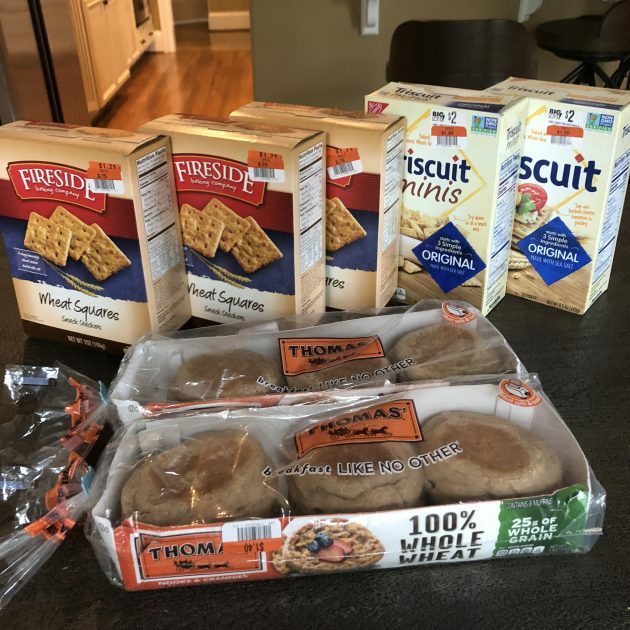 I ran into Aldi on Monday to see if there were any markdowns + to pick up a few staple items and baking items. 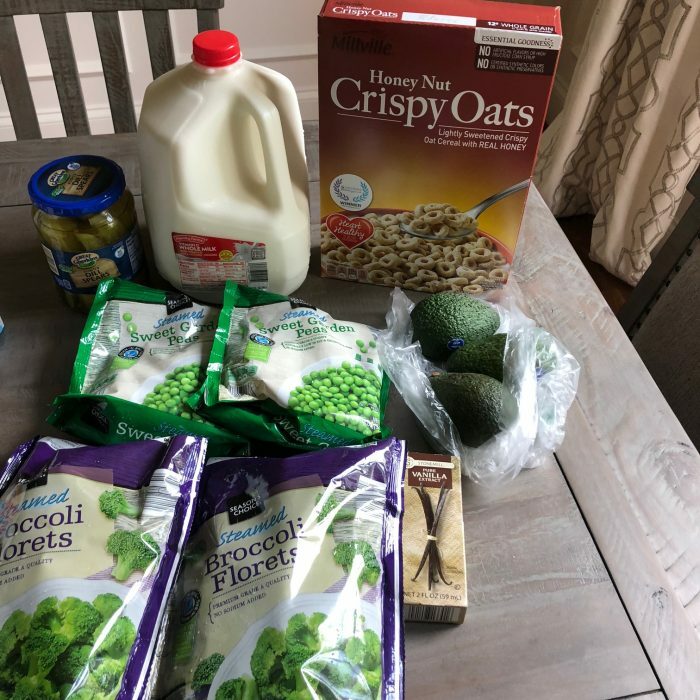 I had a team meeting when I got home and didn’t get pictures taken of my shopping trip, but I did get a video made of my Aldi, Big Lots, and Sprouts shopping trip that you can watch above if you are interested. I also stopped by Big Lots to see if there were any great buys in the clearance cart. 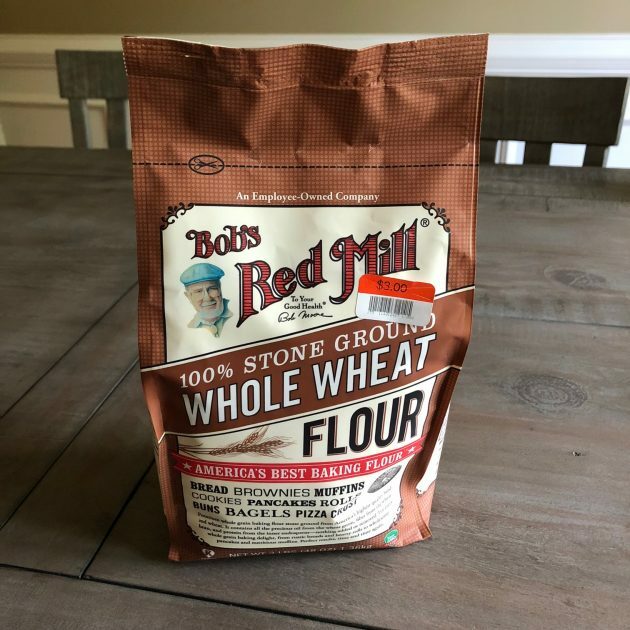 I didn’t find anything great, but I did go ahead and pick up some whole wheat flour for $3. 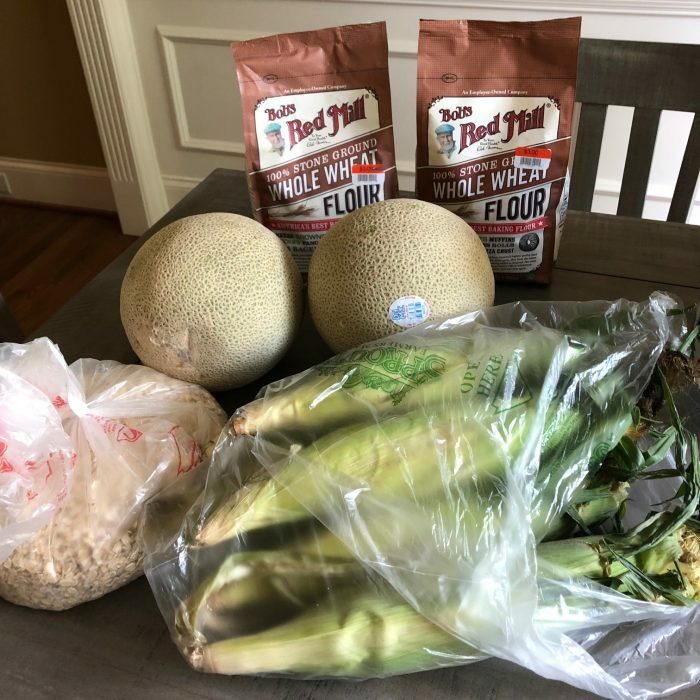 I am planning to make a trip to Nolensville soon to check out the Bulk Foods Store there to see what their prices are on flour and I also want to check Sprouts, but for now, that was a decent price for higher quality flour. Y’all! I am kind of geeking out over this Sprouts discovery! I still can’t believe that this store has been sitting so close to Aldi and I’ve not been shopping there. 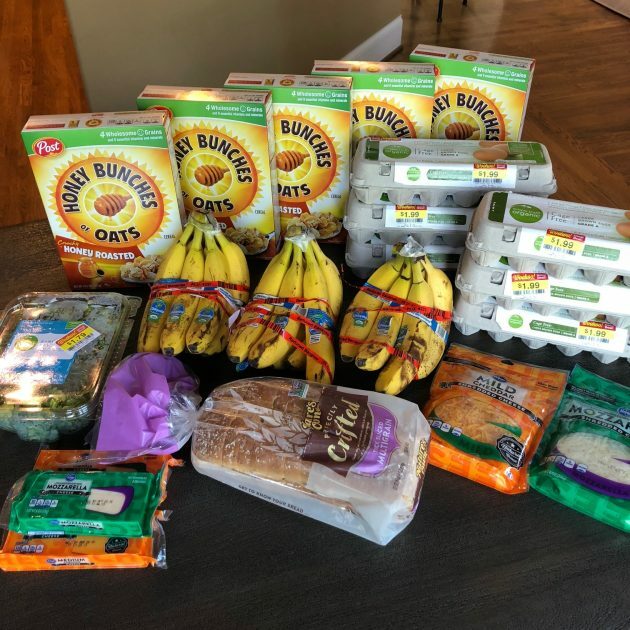 Maybe it’s just a good week or something, but based upon what you all are telling me, Sprouts regularly has great deals. And I’ve been so impressed with the quality of their food and their customer service. 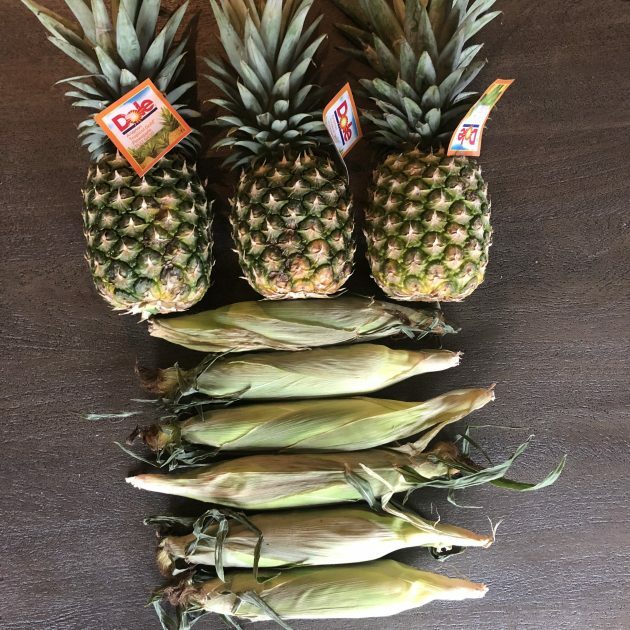 Case in point, when I was there on Monday, they had corn on the cob marked for 5 for $1 — which is a fantastic deal. I started filling a bag and a woman who worked there came over to me and told me that the sign was actually incorrect. The deal was actually only for the weekend. She said that they had just changed the deal in their system and hadn’t gotten the signage changed. She told me they would totally honor the price since it was marked as such. However, she told me to make sure to tell them at checkout that they’d need to adjust the price. She told me if I had any issues to just ask them to ask her about it. And then I saw her go straight over to the checkout lane and tell them to honor the price until they got the sign changed. Also, I have no idea if this was because I just signed up for their email list or if it was some kind of fluke thing, but in the past 5 days, I have gotten two completely free coupon offers in my inbox. Are the rest of you getting these coupons? Is this something they regularly do? I have no idea, but I highly recommend signing up for their email newsletters and always opening them and scrolling to the bottom of them. Also, be sure to download the app to add the promo codes for these digital coupons if you get them, too! Oh and remember the Driscoll’s strawberries I bought last week? Well, I filled out the surveys for the products on the Driscoll’s survey panel and I got $0.50 Driscoll coupons for each survey I filled out. So you know what I did, don’t you? 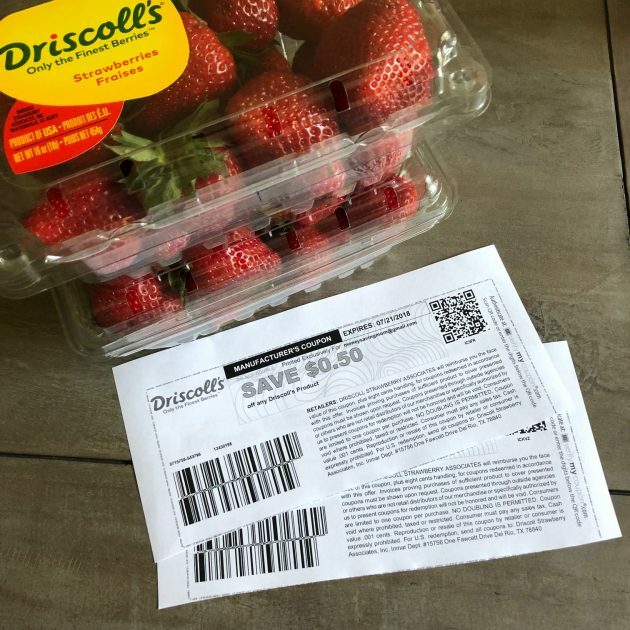 Oh yes, I took those coupons and went back to Sprouts and bought 5 more packages of strawberries for $0.48 per package! If you are wondering what we did with 10 packages of strawberries in a week, we ate 6 packages and froze 4 of them to use in smoothies over the next month. I love having frozen berries — especially when I got them so inexpensively!